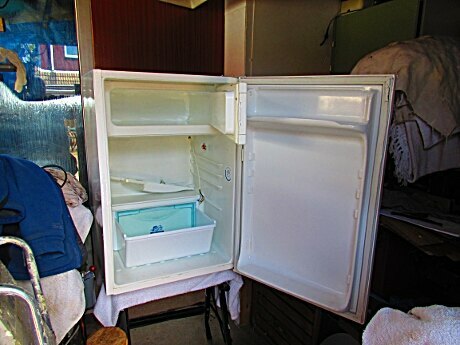 The freezer compartment door is air tight so the idea at the moment is to put the electronics inside and create cable access either through the door or through the back. This will be possible as the cooling pipes run around the top and sides. It might also be possible to have the vent fan at the back and connected by a flexible pipe to a hole in the door. Keep finding out snippets of info from the OPEN AG Forum, turns out plants like water temperature around 10 degrees cooler than the air temperature.Blue sky thought ! 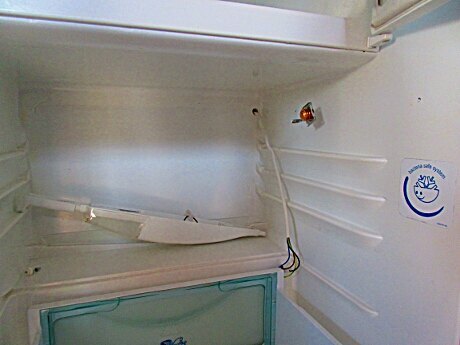 Maybe it’s possible to cool the nutrient water in the fridge freezer and collect the heat of extraction from the fridge radiator. Then feed it back into the fridge to heat the air ? If the freezer section was open to atmosphere it would have a heat source so only the section cooling the water would need sealing from the atmosphere. Inside I have removed the temperature adjustment sensor from the actuator so as not to compromise the, what I assume is part of, the sealed system.That leaves a useful space which housed the lamp, ( It could be used to mount the camera, and other sensors ), a switch actuated by the door, and access to the outside for cabling. There is also the drain hole which can be used for access. The original container for the lower part of the fridge was missing so this is one that I kept from the fridge that was taken. It is smaller than the original so if I find a larger one then I will use that.